Milestone Inventive » ECOC Ireland 2020 – that’s all very lovely but how are we going to pay for it? ECOC Ireland 2020 – that’s all very lovely but how are we going to pay for it? Contrary to popular belief, winning the designation of European Capital of Culture does not bring with it a huge pot of European money. A key factor in a winning bid is proving that the city can pay for it. In Eurospeak, “responsibility for implementation and funding is devolved to the local level”, which is a terribly polite way of saying that you’re on your own when it comes to coming up with the cash. A European Parliament study from 2013 found that between 2005 and 2013 the average (mean) budget was €64m, though the median was €37m. Closer to home, the 2005 European Capital of Culture programme in Cork cost nothing like that – a mere €16.97 million in cash of which Cork City Council and the department of Arts, Sport and Tourism contributed €13.6 million, half a million came from the EU Culture 2000 programme and €2.87 million came in the form of commercial sponsorship. Those are very big differences in figures, even allowing for an eight year time frame. Bear in mind also that Cork’s year as Capital of Culture fell within the heady days of the Celtic Tiger. How therefore, in 2015, does a 2020 candidate city come up with a budget that is realistic, solid and credible to include within it’s bid. 1. How much government funding can candidates realistically count on? Well, we already have an indication of sorts. The Government granted €6 million to Limerick as the 2014 (first ever) National City of Culture and then promptly postponed the next awarding of that honour (2018) on the basis that “Due to the level of exchequer funding which would be required, and so as not to dilute the importance of the European Capital of Culture in 2020, it has been decided to defer the next Irish City of Culture,” said Minister for Arts, Heritage and the Gaeltacht Heather Humphreys back in December 2014. She went on to state that the level of funding required for the 2020 hosting has not been finalised but an indicative figure of €15 million had been provided to the Government and that ‘the successful city will be expected to stump up at least half the cost of the event’. So the government’s €15 million must be matched bringing the total up to €30 million. This clearly indicates that Ireland is aiming to deliver a world class capital of culture experience for something in the region of the bargain basement price of €30 million. To put that into some current context, the 2019 Italian designated city of Matera (a city comparable in size with three of the four proposed Irish candidates) has a budget of €52 million. Is €30 million realistic at this early stage, or is it just a figure that is perceived as publicly palatable, in a country emerging from the worst recession in living memory? Is it likely to be the case that the contribution from the public purse may yet be expanded, if the public’s ability to withstand such a level of funding for non-essential culture becomes more robust as 2020 approaches? It is anyone’s guess but the very use of the word guess at this early stage should be a cause for some alarm, given our past national experience of failure to properly plan for European Capital of Culture (Dublin 1991 had just a 14 month turnaround) and to manage expectations (Cork 2005). We have, at last, managed to stop under-estimating transport and infrastructure projects, should we not now do the same for cultural projects? In the long experience of European Capitals of Culture, it has not been unheard of for a change of government between application and selection or delivery to choose not to fulfil the promises of the previous administration (Vilnius 2009, Tallinn 2011 and Maribor 2012). The judges have their antennae raised high to detect this possibility, therefore candidates must prove cross party commitment to funding their bids. 2. What might Europe contribute? There is the Melina Mercouri Prize of €1.5 million, named after the former Greek Culture Minister who inspired the launch of the European Capital of Culture initiative in 1985, but woe betide any candidate who takes the award of this prize for granted. The road to failure is littered with candidates who did so and were sternly reminded that it is by no means guaranteed and is awarded on merit alone to winning bidders. Then there are all of the other EU funding programmes which can be accessed by European Capitals of Culture, most notably the Creative Europe programme, which specifically supports transnational collaboration, a key criterion for Capital of Culture. That, however, is much, much easier said than done. All who have explored this route to date report a highly complex and involved process, requiring vey significant investment in planning and partnership building, with rather long odds. A bit of a gamble. In Ireland’s case, towards the first round of applications, there has only been an eight month lead in period. That is much too short a time frame within which to target Creative Europe funding for specific projects in any kind of a meaningful way, unless, of course, those projects were already in development prior to the application. It will, therefore, be difficult to include in the first bid document a reliable estimate of what sources like this could yield. 3. Local government funding is also to be factored in, however, given the dire state of local authority finances, a best estimate would be in the nature of a couple of million, most likely eked out as core administration and early stage project development funding over a the six or seven year period from conception to completion. It is also the practice to divert and convert existing local government or other agency or EU budget lines to become incorporated within the project budget. Often these can be for infrastructural projects which, although they may be cultural in nature, arguably may have been liable to happen regardless of Capital of Culture status. This leads us to the question of where then does a candidate draw the line between duplication and additionality? How many projects which would happen anyway are fudged into the mix in order to improve the impression of additionality and enhance the solidity of the budget? 4. The final source of funding is private, commercial funding, typically in the form of sponsorship. In all of the ex-post evaluations and other resource materials there is, unfortunately, extremely limited exploration of the potential to source funding from the private sector. Perhaps this is because it does not typically feature as a significant source or perhaps it is out of a lack of understanding regarding commercial finance and how to access and activate it. The resource materials make broad references to in-kind sources of sponsorship such as free advertising (i.e. media partnerships) or free or discounted air travel or hotel space. Valuable and all as these sources can be (if properly activated), they are well down the list in terms of the kind of value that commercial fundraising needs to realise. Practical examples of European Capitals of Culture having sophisticated commercial fundraising strategies are almost non-existent. The European Capital of Culture brand itself is not commercially established in such as way as it could deliver commercial investment to successive holders of the title. The proposition of what the returns on commercial investment could be are missing. European Capital of Culture bidders, in planning a realistic fundraising strategy, could do well to learn from the experience of the major global events whose ability to raise multi-millions through developing and offering targeted, win-win, investment opportunities, meeting defined corporate, business-to-business and consumer objectives, is highly sophisticated. Yes, the playing field is very different but the core principles can easily be adapted. Applying these principles, here’s what a successful commercial strategy would look like. 1. There would not be a large committee responsible for fundraising but rather a select group of highly experienced and successful fundraisers, acting voluntarily, in a close advisory capacity to a single commercial director resourced by a team or to a contracted commercial agency. Those whose valuable contacts would play a role in opening doors should be called upon to support as needed but not necessarily be part of the advisory group. 2. It will be realistic, valuing opportunities in terms of their reach which, in a country like Ireland, extends only to the size of the population and further segmented to defined groups within that population. It will recognise that European Capital of Culture is not an international promotional platform on any level. 3. It will leave no stone unturned in relation to developing revenue streams, determining their viability on a cost-benefit basis and recognising that it all adds up. – Cash sponsorship of initiatives (e.g. public engagement programmes, volunteer programmes, schools programmes, arts & cultural themes and streams) rather than of individual events. The key is to deliver over as long a time frame as possible rather than on a one-off basis. – A core corporate cash sponsorship ‘club membership’ stratified and payable over a long time period. – In-kind or discounted sponsorship of essential services e.g. financial services, legal, travel, accommodation, media, design, print, technology, premises rent etc. etc. – Rights sales and licensing including pouring rights, media rights, consumer product rights, exhibitions, advertising. – Small scale business patronage and crowd-funding. 4. Targeted, sophisticated sponsorship packages will be developed for all levels of business, priced realistically and delivering real business benefits rather than selling on the basis of the worthiness of the project. The delivery of these packages will be realistically resourced and cost of sales fully accounted for within budgets. Each expenditure budget line would have a commercial cost element built in. 5. Revenue from ticket sales will be realistically and conservatively projected, while allowing for the necessary levels of free events and free access. With such a strategy the successful Irish Capital of Culture could expect to realise gross revenue of between min. €5 and max. €10 million over its five year life time. Targeting any more would be truly unrealistic. Which end of the spectrum one ends up at will depend on factors within the city’s control e.g. strategy, expertise, hard work, engagement and product & service quality. There are of course also factors outside of the city’s control which cannot be discounted e.g. the state of the economy & competing opportunities. The targets will be continually moving but, with commitment and hefty doses of realism, the most positive results are achievable. For Ireland’s European Capital of Culture 2020, paying the piper will be a bit like eating the proverbial elephant – to be achieved one bite (or one Euro) at a time and without biting off more than one can chew. P.S. Milestone Inventive specialises uniquely in commercial revenue generation for large scale projects and our experts have raised more than €5 million in cash and many millions more in kind for large scale spectacle events and public engagement projects. 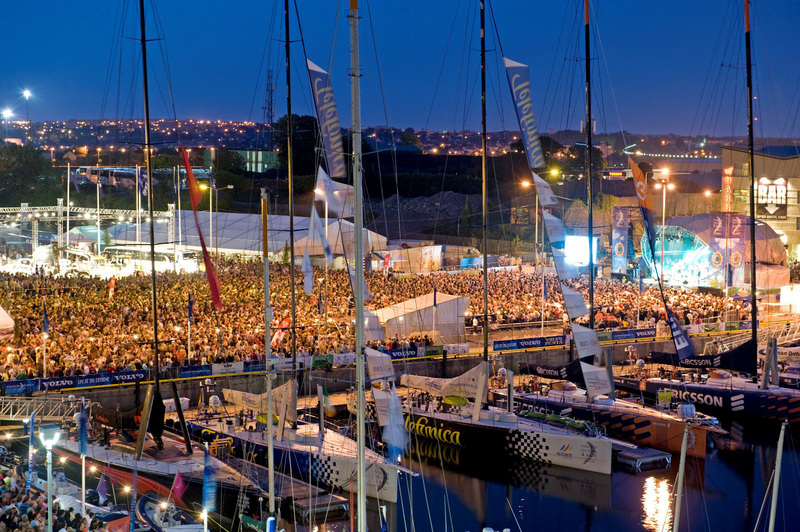 Most recently we served as commercial agents to Tall Ships Dublin 2012 raising €500k in gross revenue and as much again in in-kind support, mainly advertising. We’re happy to talk…….